Your building’s roof withstands plenty of punishment, and older roofing methods simply are falling behind. 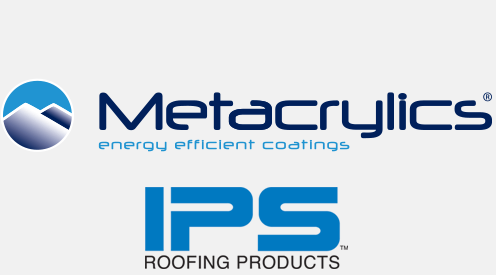 We’ve aimed to produce new, better strategies for energy-efficient, durable roof coatings, and the Metacrylics® Acrylic line is one avenue worth your consideration. These top coats form a fully monolithic membrane. 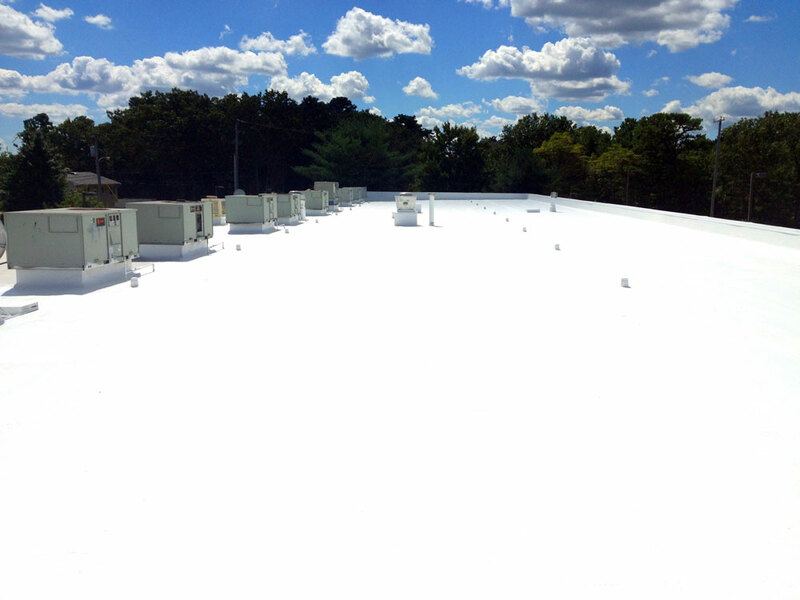 By blending these high-quality ingredients and installing it with top-tier workmanship, you’ll notice immediate results in the form of lower roof surface and internal temperatures, a longer lifespan for your roof and reduced water ponding. We also manufacture our environmentally-friendly acrylic coating to be free of zinc oxide, a chemical acknowledged by the Environmental Protection Agency as a hazardous waste material. Leaving out those components means better adhesion in the face of ponding conditions, added fungicides for increased mold and mildew resistance, reduced chalking to prevent premature degradation and improved dirt pickup resistance. 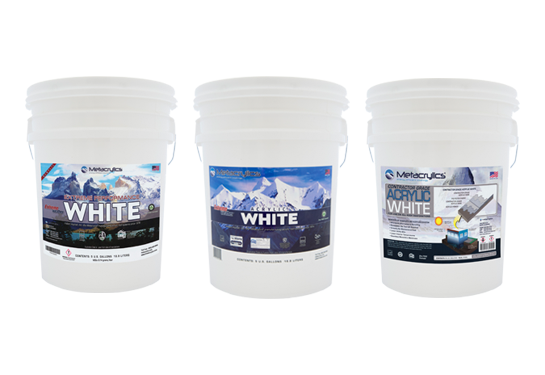 Our High Solids Silicone offers many of the same benefits of our acrylic top coat. The single-component elastomer offers reflectivity, weatherproofing, UV resistance and overall durability. It can be challenging to find the optimal “cool roof” solution to improve your home’s interior environment, but we’re committed to seeking it out for you. Metacrylics has implemented the unique Total Service™ approach for more than 40 years. We want to give you the most comprehensive customer service experience possible — we’ll answer all of your questions, tailor our services to meet your needs and provide total transparency in everything we do. Our process is highly detailed from start to finish. We inspect your roof and take note of its details, as well as your requests. A careful analysis from a member of our experienced team will ensure your coatings experience no inconsistencies or issues. With a combination of industry-leading formulations and unmatched support, you’ll find that our team has your best interests in mind. To reinforce that claim, we offer renewable warranties for up to 30 years. It doesn’t matter the size, scope or quality of the roof in question. Metacrylics has dealt with all kinds, and we’ve developed top-graded, cost-efficient solutions we can apply to countless situations. Our customer and project lists have grown steadily over the years, as we’ve worked in stringently specified industries from military bases, chemical companies and universities.